Welcome to Tampa, spring breakers! We know that you’re expecting a Magic Mike or Spring Breakers: The Movie type of week full of crazy nights out and lots of alcohol. As an alumnus from the University of Tampa, I know where you want to go for a night to remember in many of Tampa's entertainment districts. 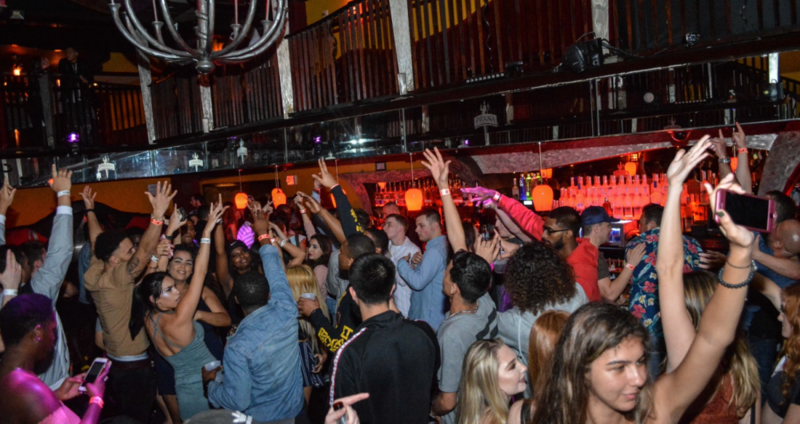 The type of night out you’re looking for will depend on the neighborhood you want to hit up as well as the venue you go to, so check out these bars and clubs for the best spring break in Tampa! Ybor City is what you see in Magic Mike. It’s a nightlife and entertainment district where you’ll find people from all different walks of life coming together to enjoy a night out! No matter what kind of night out you’re looking for this spring break, Ybor City has you covered. 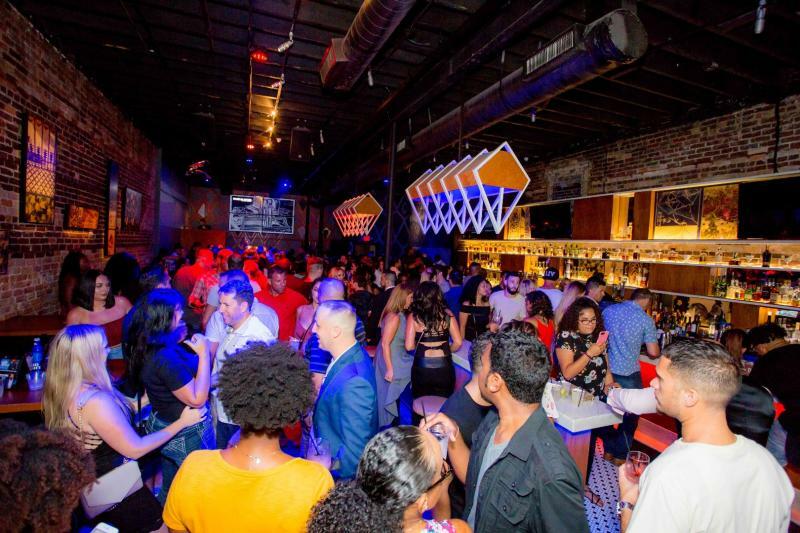 Tampa’s only five-story nightclub is an epic spot to dance with your friends, toss back a few shots, and potentially end up in the VIP section with the DJ. 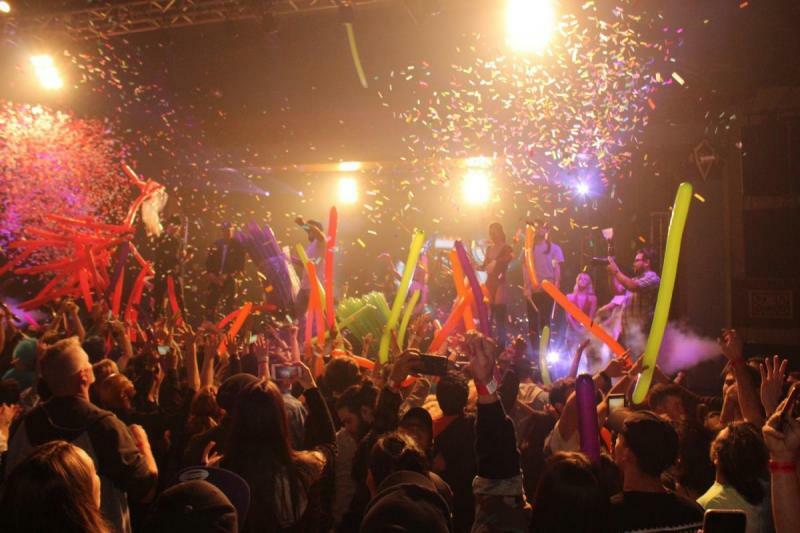 If you’re looking to let loose and go clubbing, then head to Club Prana during spring break. What kind of music do you like? EDM, rock, punk, or pop? Whatever genre puts you in the mood, it’s likely you can find it live in Ybor City! On Friday and Saturday nights, The Ritz Ybor has lineups of all-star EDM DJs and pop sensations. Crowbar and The Orpheum are for those of you looking to slap some black eyeliner on and be moody into the early hours of the morning with punk or rock music playing. If you’re looking for a packed neighborhood bar, then head to either Double Decker or Bad Monkey on any given weekend! Both of these Tampa staples have been around for years, and they aren’t losing momentum! 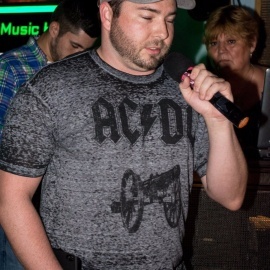 Double Decker features karaoke where regular attendees sing like nobody’s listening.If karaoke isn’t your thing, then head next door to Bad Monkey to compete with locals in darts, giant Jenga, and more! Many of The University of Tampa or University of South Florida hotties head to Hyde Park every weekend to take over their favorite bars. So if you’re looking to hit up a bar with AYCD happy hours and lots of college cuties, South Howard is the perfect destination for you this spring break. MacDinton’s Irish Pub is lit all year round, but it’s exceptionally crazy during the month of March because of spring break and St. Patrick’s Day! It’s the type of bar you expect to be filled wall-to-wall with college-aged people dancing, spilling drinks, and hollering at their friends from across the bar. They have dollar beers on Thursdays after 9 p.m. and four-hour AYCD happy hour on Fridays 6-10 p.m. These crazy-good deals draw in the crowds, but they're as equally packed on Saturday, so, spring breakers, this is a bar you definitely need to check out! Hyde Park Cafe is another SoHo spot that stays filled with college-aged people on the weekends. Their music will be sure to have you up on your feet, or the nearest table, so be sure to wear some comfortable shoes when you go to HPC! Fridays are their busiest nights of the week with a two-hour AYCD happy hour 8-10 p.m.
Related content: Happy Hour or Happy Week? Spring Break in Tampa for Cheap! If you’re looking for a less-packed establishment to hang out in with your friends and play billiards or choose your own music on the jukebox, both Soho Saloon and Cheap will make you a happy spring breaker. With cheap drinks and fun atmospheres, these bars stay busy without the feeling of becoming a sardine! 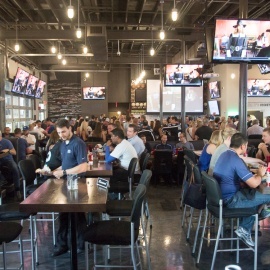 Though Downtown Tampa is known more as a business district, popular bars and restaurants have been popping up over the past three years! Places in this area are for those with some extra money burning a hole in their pocket or those who are used to New York City or Miami prices. But when you’re on spring break, who cares? If you’ve got, it spend it! Want epic views of the city on your night out? Head to Franklin Manor for Tampa’s best Froze, good eats, and a night out with some of Tampa's young entrepreneurs. Strike a pose and take an Instagram photo on the patio with the city skyline and Floridan Palace Hotel sign in the background. Right across the bridge on S. Harbor Island Blvd., you’ll find American Social, one of Tampa’s newest hotspots for a wild night out. With craft cocktails, delectable bar bites, and one of the best views of Downtown, this is a must-see spring break destination. Imagine this: it’s Sunday morning, and you’re headed home tomorrow. You just don’t want spring break to end! Head to WTR on the Courtney Campbell Causeway for a Sunday Funday to remember. You’ll be greeted by gorgeous women and welcomed to Tampa’s only Vegas-style pool! If there’s one day you want to go to WTR, it’s Sunday because things get lit when the Monday blues are creeping up on us! Been in Tampa a few days and still haven’t taken any pictures worth posting on your Instagram? Head to Mandarin Heights in Seminole Heights for an Instagram-worthy spring break photo-op. Not only will you find the perfect backdrop for your next photo, but you will find lots of Tampa culture in Seminole Heights. Depending on what time you make it to Mandarin Heights, check out Tampa’s best Cuban sandwich at Bodega! Did you pack your poker face this spring break? Hard Rock Casino is one of the largest casinos in the country, so set a limit to how much you’re willing to spend, and gamble the night away! Play the slots, get into a game of blackjack, or buy into a tournament for a wild night of winning money in Tampa’s only full casino and resort. Find more ideas for spring break in Tampa by registering on 813area, your free local guide to everything Tampa Bay!